It’s that time of year again—budget season (groan) when you plan how to spend dollars next year. 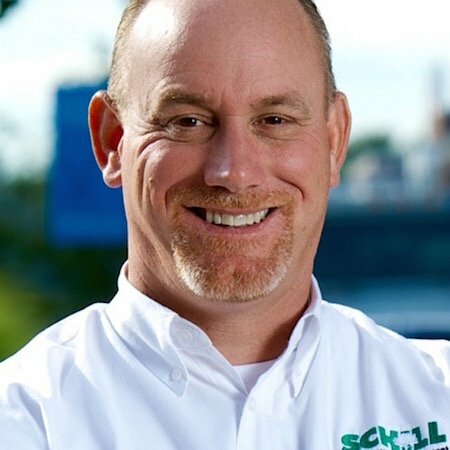 We’re in the thick of finalizing our budget here at Schill Grounds Management, too, and for us that means making decisions about property enhancements, vehicle and equipment purchases, and even our team. With four northern Ohio locations, we have a lot to consider now as we fine-tune our budget and consider what we can take on in 2018. Budgeting is a challenge—we get it. We’re property managers, too. The process involves rounds of “cuts” before you get the numbers where you want them. What bids did you collect last year for enhancements or maintenance work that you decided to not do? Can you work those ideas into next year’s budget? That said, here are some commercial landscape enhancements you might consider budgeting for next year. Does Your Budget Include These Landscape Enhancements? Of course, this depends on your property and its needs. And because we hold onto bids you request, we’ve got a file of proposed enhancements we’d be happy to review with you if you want to see how those items can fit into your budget. 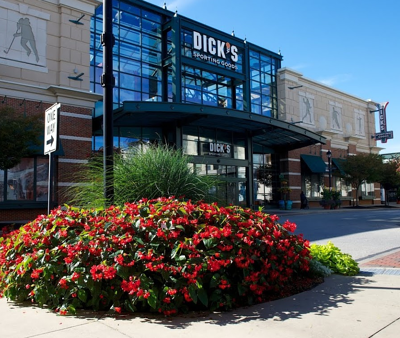 Here are some common landscape enhancements we recommend to commercial property managers throughout Northeast Ohio. We know taking down a tree isn’t a fun project. Neither is removing large tree limbs that hang over a roof or common area. When you think “landscape enhancement,” this type of project just doesn’t come to mind. But it’s all about safety here—and managing potential financial ramifications and liability if you let tree work go. What happens when a tree that’s diseased, dead or on its way out falls on your property? Who gets hurt? What damage can occur? How much will that cost? These are all reasons why we recommend finding a place for recommended tree work in your budget. Over time, lawns can lose their luster and landscape beds can get overgrown. Plants aren’t designed to last forever. If your landscape is aging you may need to remove and replace some trees, shrubs and flowers. Doing so will refresh your landscape and improve its value. Maybe you pushed off replacing plants last year because the budget just wasn’t there. We understand. Or, perhaps other maintenance items on your property were more pressing—like replacing a roof or dealing with drainage issues. We get it. But as you sit down with your budget, think about getting a property assessment with your landscape contractor. Walk around, and review which enhancements could refresh the landscape. Make a list of priorities and see if you can fit those into your budget. If your landscape contractor is a true partner, he or she will take the time to review enhancements you decided to hold on last year and identify which projects will deliver the greatest ROI. If you can only fit a few enhancement projects into your landscape maintenance budget, you’ll concentrate on high-traffic, high-visibility areas where your dollars will make the greatest impact. We’re talking about entryways, courtyards and common areas (like HOA clubhouses). Does signage need to be updated? What about the landscaping that surrounds signage: Is it worn out? Could the entryway use a curb appeal boost? Find room in your budget for enhancements that will raise that first impression factor. There’s nothing more disappointing than turning down opportunities to improve your grounds because the money just isn’t there. And believe us, we understand. 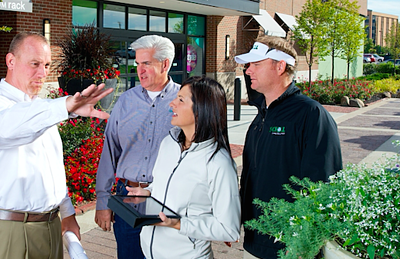 We know as property managers, you’re looking at every aspect of your grounds—not just the landscaping. So are we. As a premiere commercial landscape maintenance provider, we act as an asset manager of your property. We’re reviewing every aspect of your grounds when we’re on site—not just the lawn, flowerbeds, trees and entryways. Why not draw us into your budgeting conversation? We’re the eyes and ears on your property, looking out for problem spots and areas to improve that go beyond landscaping. With safety as our top priority, we take a holistic approach. You’ve got a lot on your plate now as the year winds down and you finalize next year's budget. We know that landscape maintenance and enhancements are just one piece of the big picture on your property, and that’s why we do more than suggest enhancements that address plants and turf. So let’s sit down together and talk about projects you put on the back burner this year. Maybe there’s room for enhancements in your budget. We’d like to share what we see on your property—areas you could improve and gain the most return on your investment. Call us at 440.327.3030, or fill out this simple contact form and we’ll get in touch with you.